PLAYING IN A CINEMA NEAR YOU NOW OR IF NOT CHECK HERE TO FIND OUT WHEN IT COMES TO YOUR TOWN. Yup, three long years later we finally get a sequel. Did we ask for a sequel? Maybe, I sure wasn't expecting one. But I guess the movie's novelty of having a talking teddy bear and the fact that it wasn't a movie for kids or even one for the family made it an interesting one and one that everyone had to watch. Also I'm guessing the legions of Family Guy fans and fans of Seth McFarlane's brand of humor helped it along too. The movie's been out for about a week I guess and I'm also guessing you've either seen it or you've read like at least two reviews for it, so I'm going to not do what I usually do which is to recap the events of the movie as best I can. If you still want to read about what goes on in the movie you can check it out at the Wikipedia page for it or head on over to the IMDB page for it. So what did I think of the movie. Well, let's start with the characters. Ted is the same Ted, albeit a little bit older (if that's possible for a teddy bear) married with his girlfriend Tami-Lynn for a year and going through what young struggling couples go through. He still hangs out with John smoking pot whenever possible and generally being themselves i.e. same guys from the last movie. These guys know their role like the back of their hands so if you enjoyed them the last time you'll enjoy them this time too. Mila Kunis doesn't reprise her role neither does she have a cameo which I thought was unfortunate so this time the love interest is played by Amanda Seyfried who does an excellent job and is enjoyable to watch but no Mila Kunis in the first movie. Other recurring roles are Sam J. Jones who as you know is idolized by both Ted and John, Donny played by Giovanni Ribisi who in the first film plays the creepy guy who kidnaps then mutilates Ted, Patrick Warburton who plays Guy who in the first film plays John's co-worker who is now gay and of course Tami-Lynn played by Jessica Barth. There's also a whole bunch of cameos. The most notable ones being Morgan Freeman as the lawyer who helps change things around for Ted, Liam Neeson who does what he's famous for these days, Tom Brady who was almost a sperm donor, Jay Leno who does a quick scene as a closet homosexual. Michael Dorn who plays Guy's boyfriend who was famous for his role as Worf in the Star Trek series with Patrick Stewart and of course Patrick Stewart who is the movie's narrator. There's a bunch of others if you're interested but you can check them out at the Wikipedia page for Ted 2 or head over to the IMDB Trivia page. On to the story. 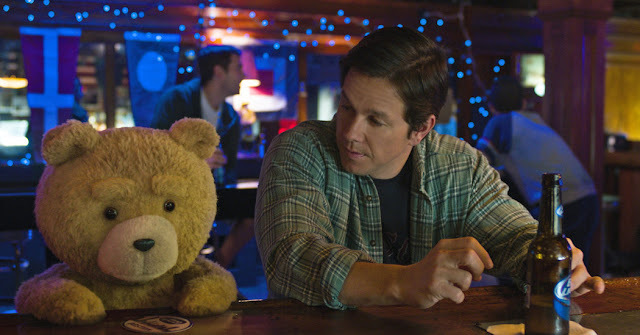 The whole premise of this movie is about Ted trying to make himself accepted in society as a person and not a toy or a property. Everything else around it is just fluff that's meant to make you laugh. It's basically the same formula with every other Family Guy, Simpsons or South Park episode. The ridiculous and silly bits are there to soften whatever the real message is in the movie. In this case it's about what defines a person, a human being. Ted makes it a point in a few scenes of how his struggle is akin to the civil rights movement of the African Americans and even with the LGBT movement which is convenient since that's what a lot of people are talking about these days. Which makes this movie sort of a social commentary of the times, I guess. But honestly with all the silliness that's put in between the fight for his rights to be considered a person you sort of ending up not caring about it. There's just so much of it that whatever message that it's trying to pass on to you gets buried under pot jokes and other frat boy pleasing humor. 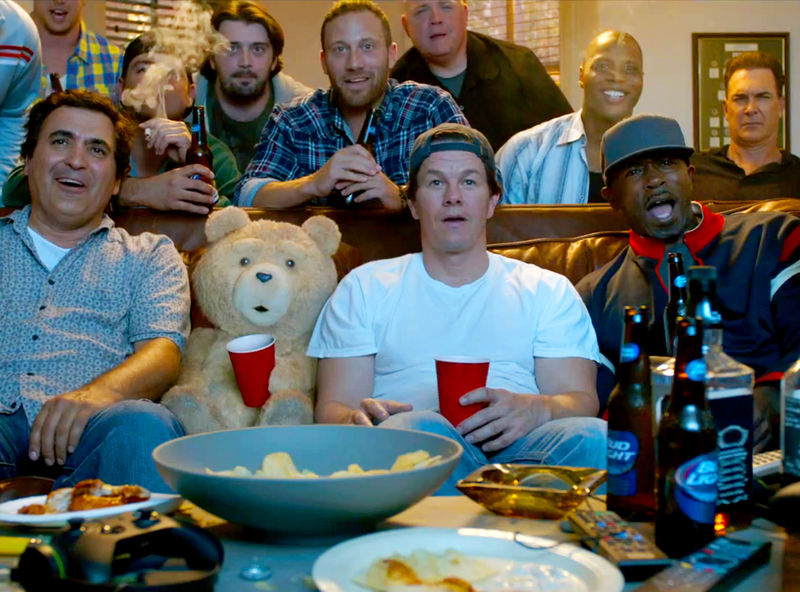 Basically whatever was funny in the first movie is pretty much back in full force for this movie. Is that a bad thing? Well, no. If you enjoyed the first movie on whatever level and are not tired of that kind of humor then you'll probably enjoy it in this movie. But if you didn't then you're probably not going to find anything amusing in this one. 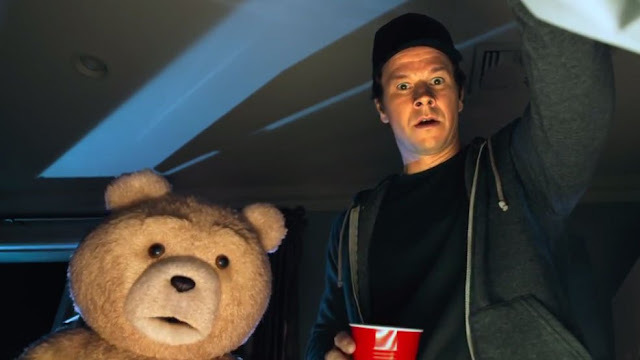 This movie is basically for the fans of the first and of course fans of Ted and Seth McFarlane. If I'm making it sound like that's a bad thing, I'm not doing it intentionally. All I'm saying is caveat emptor. Let the buyer beware. When you go into this movie you shouldn't be expecting anything new or fresh. It's the same old stuff just repackaged slightly. Whatever novelty was had in the first film is being stretched pretty thin in this one. 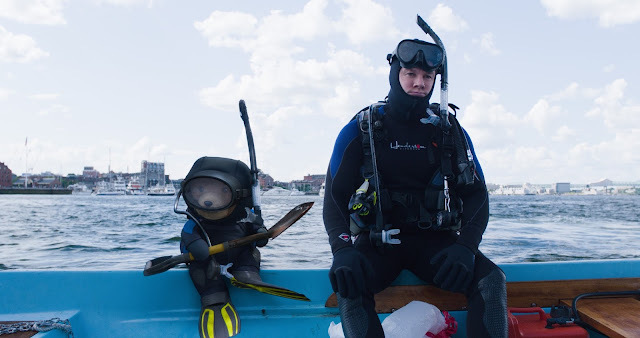 I mean bringing back Donny who tries again to kidnap Ted and try to figure out what makes him tick so that he can have a Ted of his own was done in the first movie. Having him do it with the help of a big toy company doesn't make it that much different. Heck, even watching Giovanni Ribisi on screen reprising his role you get the sense that he's sort of tired of being the same guy doing the same thing. He was creepy and interesting in the first one but in this one he just looks creepy and bored. So what I'm saying is that I like Ted 2 but not so much as the first one. The novelty's worn off. 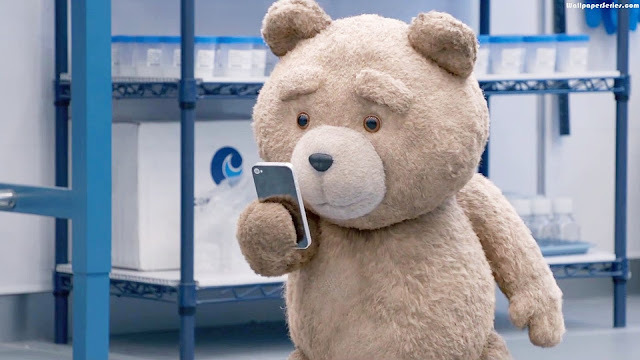 It's a decent comedy and Ted is still adorable but that's pretty much it. If McFarlane and team decides to do a third one they need to pull a pretty amazing story out of wherever they've been digging to make it better than this one let alone a more interesting one. So I'm going to give this movie a decent 2.8 out of 5. I did enjoy the fact that both Patrick Warburton and Michael Dorn came out dressed like their past roles in the Comic Con scene. The interest is on making the sequel, regardless of whether the original cast is available/affordable. Its just not the same without Mila Kunis. Hey there Thomas! Yup I agree with you on that. 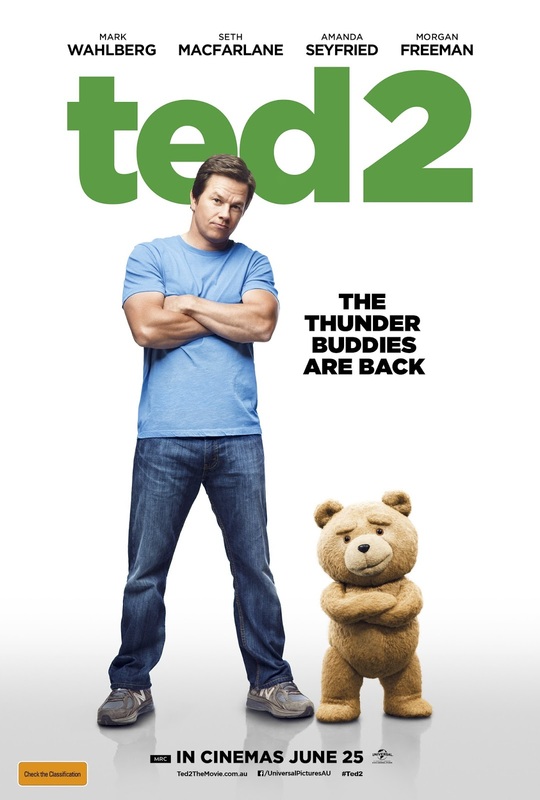 I'm guessing if the first Ted movie didn't make that much money we probably wouldn't have gotten a second Ted movie. True, Mila Kunis gave that movie a big boost to it's like-ability and acted as a counter balance to Mark Wahlberg and Ted. Without her it was just too much of those two. Have a good weekend Thomas!